According to an obituary by NV Magazine, the natural-hair community suffered a loss this month. Titi Branch, one of the co-founders of the natural-hair-care line Miss Jessie’s, died Dec. 4. The magazine says that Branch died from an apparent suicide. 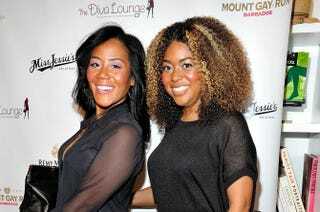 Titi Branch, along with her sister, Miko Branch, ran the ever-popular Miss Jessie’s salon in New York City, where they sold their own brand of hair products. The sisters could be considered pioneers in the natural-hair-care business, catering to those with kinks, coils and curls. On Sunday night, Twitter updates from Miko Branch’s and Miss Jessie’s accounts remembered Titi Branch. Director Andre Robert Lee posted a video tribute to Titi Branch, which included the program from her funeral. If you or someone you know needs help, please call the National Suicide Prevention Lifeline at 800-273-8255.